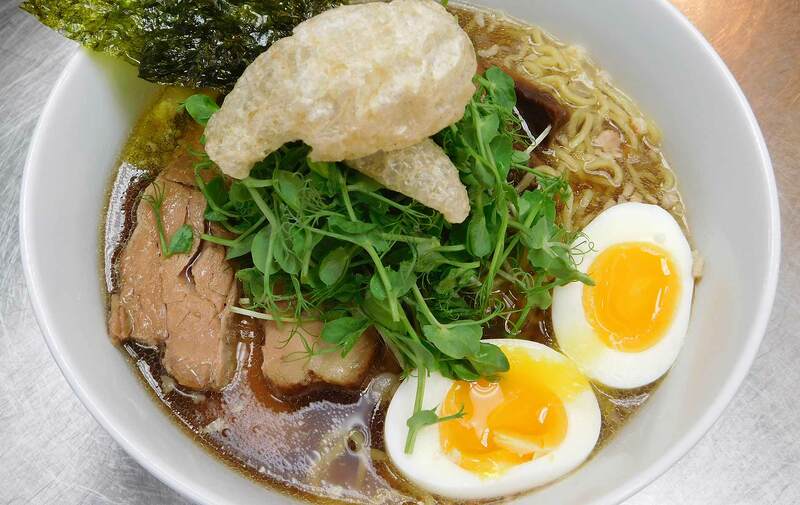 Noodle Club Waimea | Supporting our local farms and ranchers one bowl at a time! HOURS: Sunday-Monday 10:30am to 5pm. Tuesday-Saturday 10:30am to 8pm. Chef Edwin Goto is the founder of Noodle Club, in Waimea on the Big Island of Hawaii. Chef’s inspiration comes from locally available produce & meats from nearby farms, and his own imagination. All stocks made from scratch, daily. The restaurant has a fun ambience, with Japanese toys and imagery throughout, and recycled wood from an demolished Parker Ranch barn. Bar or table seating available, bring your own wine or beer. 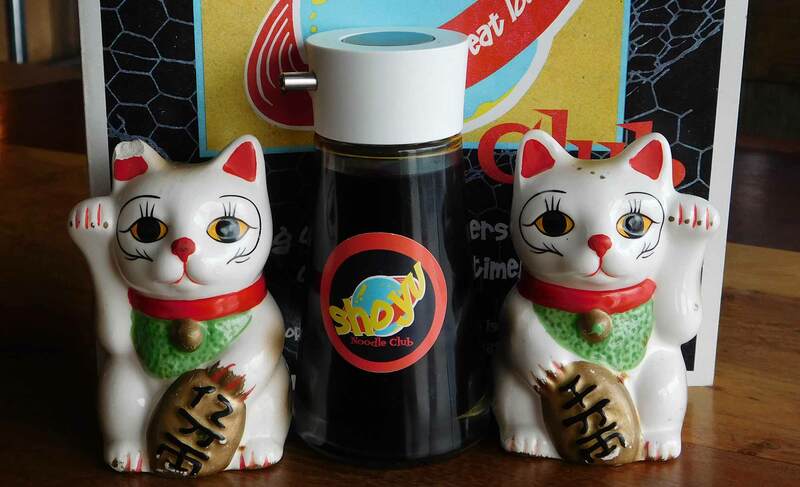 Noodle Club is located in the Parker Ranch Center in Waimea (Kamuela) on the Big Island. Sunday and Monday 10:30am to 5pm. Tuesday-Saturday 10:30am to 8pm.